Discover more about private investigators capability, employment and regulations in Charleston. Charleston private investigators with ICS are authorized independent contractors and are qualified, licensed professionals ready to assist you with a discreet, confidential private investigation. If you need a private investigation in Charleston, please fill out a Private Investigator Free Consultation. Our private investigators are committed to providing affordable, reliable service in your area and report their results in a timely, accountable manner. Contact us today to begin your case. A Private Investigator in Charleston must apply to the West Virginia Secretary of State and pass licensing requirements, including a thorough background check. 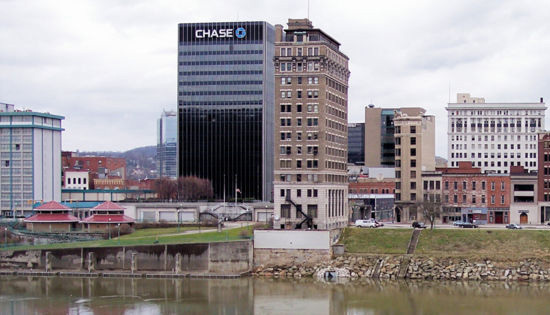 While many Investigators in Charleston come from a law enforcement or military background, it is not a requirement for employment as a PI in West Virginia. Often times, a degree in Criminal Justice or other security and investigation work can be just as important to prospective employers. Iit is against the law to provide any Private Investigative services in Charleston without a West Virginia Private Investigator License. You can rest assured that any Charleston Private Investigator assigned to your case with ICS has the experience and mentality to get you the results you are looking for. ICS provides a full range of investigations for the City of Charleston, and has authorized sub-contractors in every major metropolitan region. Whether your case involves fraud, adultery, missing persons, child custody, extramarital affairs or infidelity, asset searches, surveillance, background checks or any of our other services, ICS has the resources and expertise to find the answers you need. The professional private investigators at ICS are skilled and experienced in providing computer forensics and bug sweeps, as a part of our technical surveillance countermeasures professional service. If you believe that your confidential information has been recorded, copied or accessed, ICS can assist you in determining if you have been compromised. Our private investigators can perform bug sweeps at your home or office and digital forensics on your computers, laptops and smart phones, including the iPhone. Do you need a background check performed on an individual in the City of Charleston? Are you in Charleston and need a background check performed elsewhere? ICS can provide this service and many others. Background checks are one of the most well known and useful investigation tools a private investigator can provide. Sometimes a background check is all a client needs and other times it is merely the first step into a more in-depth investigation, providing clues and leads for the investigator and client to pursue. If you need a Charleston background check or an investigation involving one, the professionals at ICS are ready to work for you to provide the discreet and confidential service you need. ICS has been helping people in Charleston just like you get results since 1967. There are two types of licenses in the state of West Virginia, an Individual Private Investigator license as well as a Private Investigator Firm license. Regardless of whether you intend to apply for an individual or firm license, as a private investigator or security guard, there nine basic requirements which apply to all applicants. For a firm, these basic requirements apply to all officers, member or partners, and all employees who will conduct business. 1. Be at least 18 years old or older. 2. Be a citizen of the United States, or an alien legally residing in the United States. 4. Have not had a previous private investigator or security guard license revoked or denied in West Virginia or any other state. 5. Have not been declared incompetent by a court because of a mental defect or illness. 6. Do not suffer from narcotics addiction or dependence or habitual drunkenness. 7. Have not been convicted of a felony in this state or any other state or territory. * Any misdemeanor involving moral turpitude or for which dishonesty of character is a necessary element. Reciprocity: West Virginia does not have any reciprocity with other states. Fees: A $50 non-refundable processing fee is included in the fee. If your license is denied, the remainder will be refunded.